One of the best things about moving to a city after living in the country for so long is the sheer number of events and festivals. It feels like every weekend there’s another festival to enjoy: The Highland Festival, The Harmony Festival, The Begonia Festival, and best of all: the Ballarat Beat Rockabilly Festival. I absolutely love all things rockabilly. From the fashion to the music and the dancing, I love the lot. I was counting down the days to the Ballarat Beat Festival: a three-day event filled with market stalls, live music, burlesque performances, classic cars and even a Pinup competition. 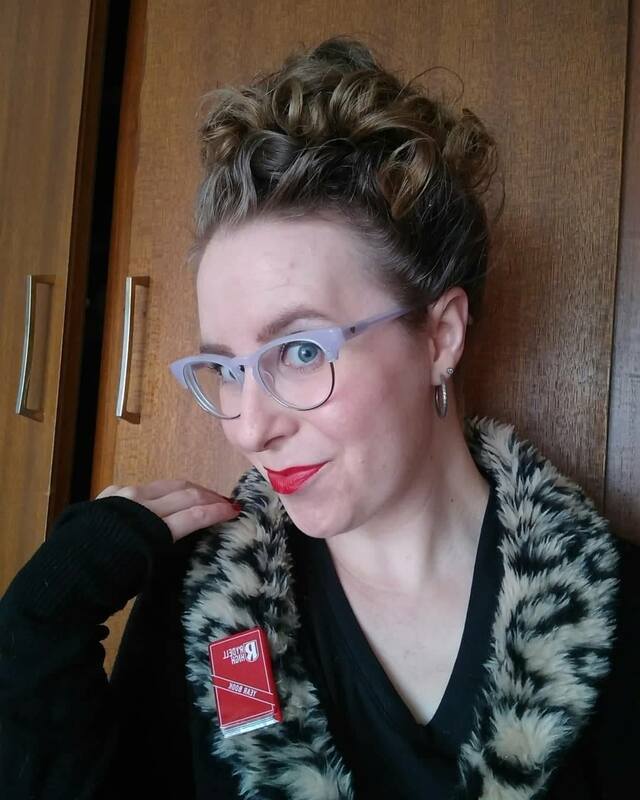 I went all out with my outfit, carefully selecting a 50’s inspired ensemble and pincurling my hair for the occasion. I decided to go for a more slimline silhouette. I knew that most of the ladies at the festival were likely to be decked out in poodle skirts and crinolines, and I wanted to do something a little bit different. 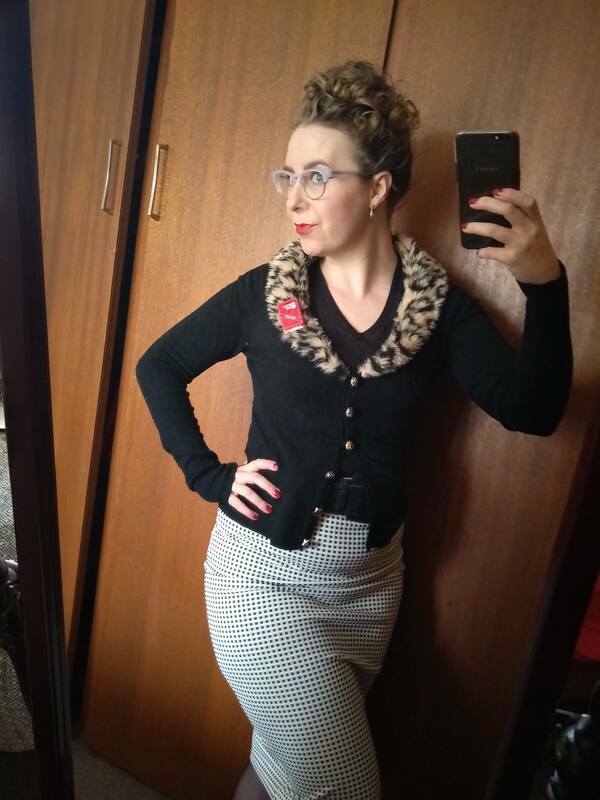 I prefer pencil skirts for my rockabilly looks because to me they feel a tiny bit more rebellious. 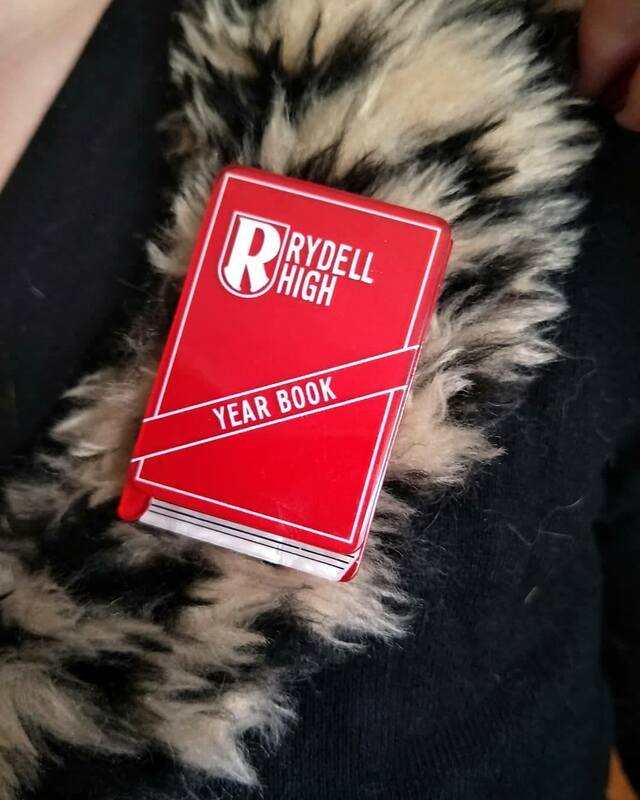 While the good girls flounce about in their frilly skirts, the bad girls go for something a little more form-fitting. I love the way a pencil skirt highlights my waist and skims over my hips. I feel my sexiest when I’m wearing a pencil skirt belted tight over a v-neck tee shirt. I was insanely happy with how my hair turned out. Usually when I pincurl it, I brush it out right away but this time I wanted to do a style that really showcased the curls. 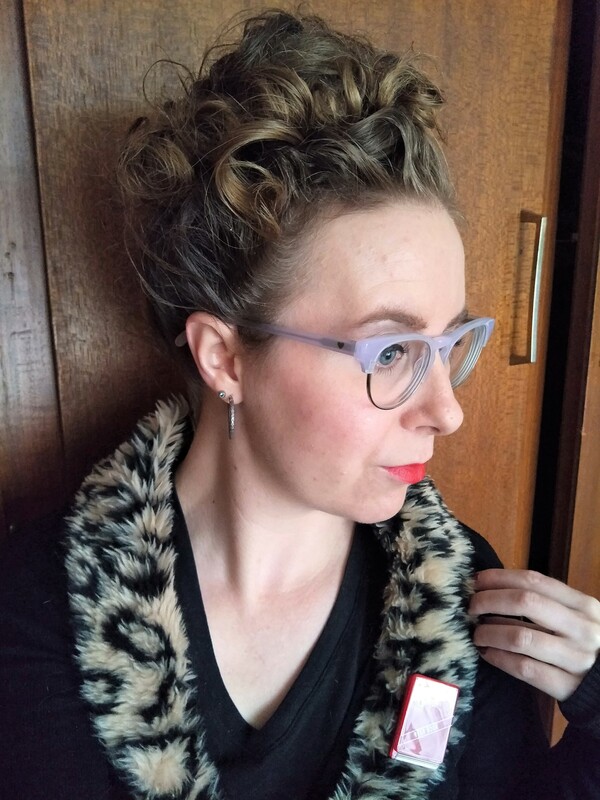 I opted for a Lucille Ball-inspired poodle hairstyle but with a slightly more modern edge. I didn’t pull the hair quite as far forward as Lucy wore hers, and I pinned it fairly loosely, allowing the curls to fall more naturally. 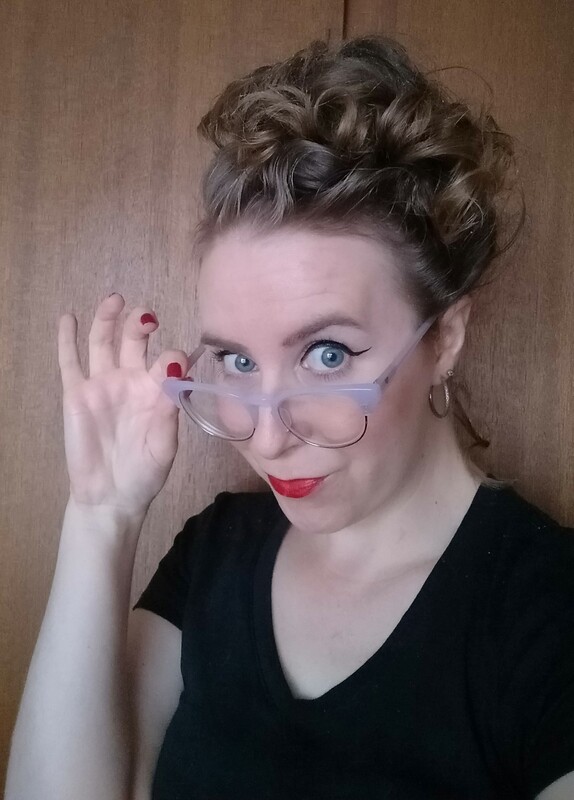 I realised when I put my glasses on that I had accidentally recreated Holtzman’s hairstyle from Ghostbusters, and I was not at all unhappy about that. The festival itself was so much fun. I enjoyed the market the most, and snapped up a couple of vintage bargains. Lydiard Street was a sea of people in their rockabilly finest, and I even saw a little bulldog wearing a bowling shirt with his name embroidered on the pocket. I saw some fantastic live music and enjoyed the beginning of the Miss Pinup competition before I was weary and went in search of lunch. I had so much fun dressing up for the Ballarat Beat Festival and I’m very much looking forward to doing it again next year.